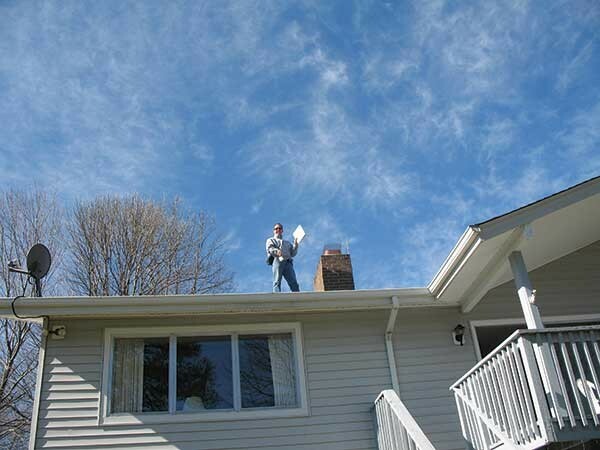 Hank Pauli of Apple Valley Home Inspections on the job. Clintondale-based Hank Pauli, founder and president of Apple Valley Home Inspections, one of the Hudson Valley's most respected inspection outfits, has seen it all in two decades, and more than 9,000 property inspections. "I wish I had kept a file of anecdotes from when I was just starting out," says Pauli, a former homebuilder who was also Gardiner's Building Inspector prior to becoming a full-time professional home inspector. As such, for about $600 on average, Pauli typically spends several hours checking out a house that is under sales contract, and prepares a comprehensive printed and digitized report on its overall condition, complete with photographs. Provided the mortgage lender (if there is one) okays the property lien, meaning, i.e., that the house is not a worthless dump—the homebuyer typically uses the home-inspection report as a starter to-do list for repairs and renovations. Most clients are referred to him by realtors. Pauli wears a shirt emblazoned with the Apple Valley logo; his truck is similarly marked. Today, he's checking out a 52-year-old four-bedroom, two-bath ranch style home on a quiet cul de sac near downtown New Paltz that's under contract. The buyer is a celebrity from Manhattan who's expecting his first child. Although the house needs a tremendous amount of work, there's an in-ground swimming pool, and the neighborhood seems right out of "Leave It To Beaver." Pauli is running water from several faucets simultaneously. He's poking around all the closets and crawl spaces, looking for evidence of water leaks, termite damage, and structural issues. "Via his Realtor, the buyer has asked for an estimate on how much I think all the required repairs might cost, plus names of local contractors. Unfortunately, while I can provide the details he needs for estimates, I'm not allowed to give him a renovation figure or to recommend anyone in particular, for fear of collusion," says Pauli. Pauli describes himself as an "ace generalist" on almost all matters affecting property values. He's inadvertently summoned crowds at his local big-box home improvement retailer. "I have to be really careful about what I say in a place like that, because the salespeople often don't really know the answers, and I usually do," says Pauli. While most clients are focused on the condition of the roof and furnace, Pauli has had some unusual requests over the years, occasionally regarding paranormal activity or reported UFO sightings in the area. He's also found dead pets in crawl spaces. 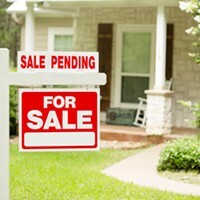 "You can't minimize anyone's concerns in the home-buying process," says Pauli. "I had a client in Woodstock forced to cut down a big old tree to save his home's foundation. When he called me, convinced he had ruined the residential karma, I suggested he plant about 15 saplings along the driveway. He said, 'Dude, that is such a good idea.'" For more information, call Apple Valley Home Inspections at (845) 453-7319.